WE'RE OPEN IN FORT WORTH! GAME ON! 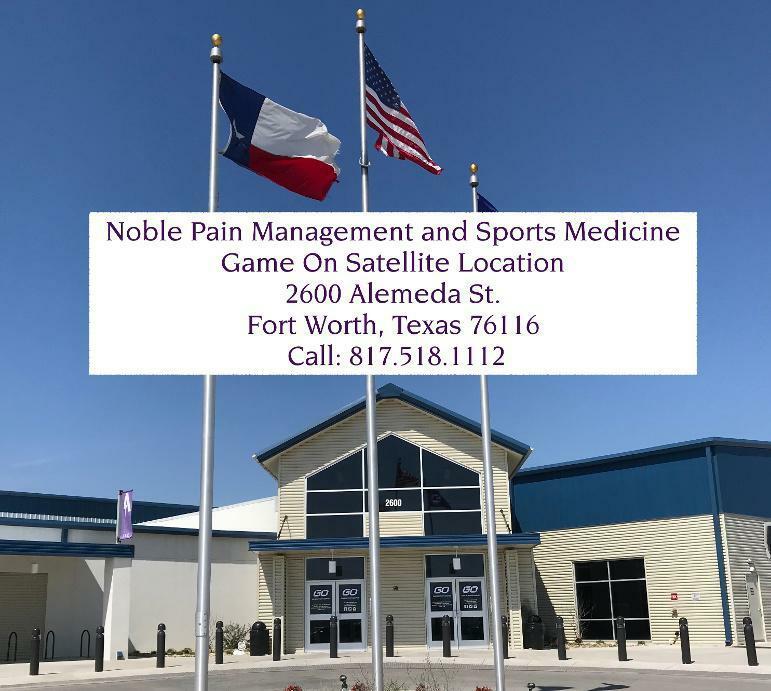 Noble Pain Management & Sports Medicine Blog WE'RE OPEN IN FORT WORTH! GAME ON! We've opened a satellite location within the Game On Sports Complex. Dr. Stephens is excited to bring state-of-the-art medical treatment to patients in the Fort Worth area. Please call us today to schedule an appointment.